[wc_row][wc_column size=”one-fourth” position=”first”] Recognizing signs of water leaks and flood damage in your residential or commercial property will minimize water damage and the cost associated with property clean-up, repairs, and reconstruction. 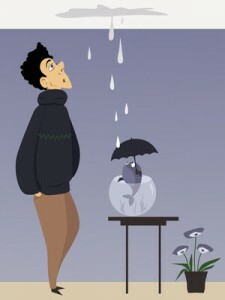 It allows for fast action that will definitely lower water damages and the expense linked with property restoration. Regardless of the reasons for water damage, arresting the damage in addition to a fast cleanup are wise first steps as you are trying to avoid damages from getting out of hand. The main thing for property owners to recognize is that even simple leaks, spills or drips can have far reaching effects if not taken care of rapidly and effectively. Identifying the indication is an essential initial step in home maintenance. Often, water damages begin with symptoms that, if taken care of promptly, will not grow to be significant water damage restoration tasks. The following are examples of water damage cautioning indications. Water Damage in the Your kitchen’s – Kitchen areas are high-risk areas for water disasters because they have numerous appliances that could leak. Dishwashers, refrigerators and sinks malfunction at times, so these areas should be kept an eye on regularly for any puddles or drips. If water spills, drips or other accidents happen from a malfunctioning appliance, water damage repair work can be quick and fairly affordable, if addressed in time. Water Damage in the Bathroom – Bathrooms can give rise to several water damage situations since they are widely utilized rooms in the house and are susceptible to everyday water drips and spills from the toilet, tub, shower, and sink. 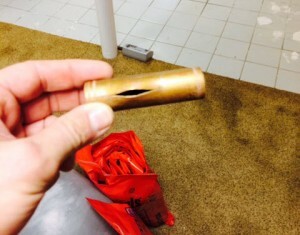 These plumbing systems have to be monitored frequently for possible water issues prior to they become a property owner’s water damage restoration and repair work emergency. Water Damage and Frozen, Broken Pipes – When winter season temperature levels warm up and water melts in frozen pipes, be on the lookout for leaks throughout the house from resulting broken and damaged pipes. Frozen pipe, broken or leaking pipes have to be changed or repaired immediately, prior to more water damage takes place. 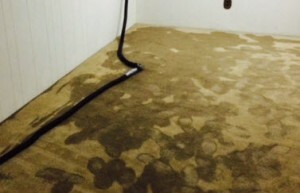 Water Damage and Wet Carpet – If you see damp spots on your carpeting, there might be water damage that needs taking care of from a busted pipe, an unexpected spill or an animal’s bladder accident. Wet carpets and rugs can typically be recovered, however time is critical and fast action is obligatory to prevent irreversible carpeting and rug damage. Trapped dirt and smells from extreme foot traffic, mold development and bacterial buildup in addition to carpet shrinkage are all valid problems that could take place if water is not expertly gotten rid of from carpetings and rugs in a timely manner. Water Damage Stains – Discolorations on walls, ceiling, wood floors, carpets, doors, and windows show water damage and leaks. 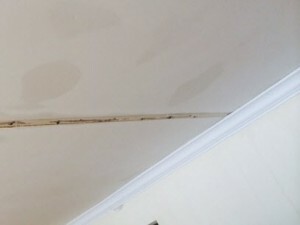 Some leaks are more obvious than others and some need more investigation to figure out the cause of the problem and the source of water damage. In addition to spots, water damage is suggested by distorted, swollen and damaged and malfunctioning structures and building materials. Water Damage and Mold – Consistent moldy smells that merely will not go away could be mold accumulation in the home. These may cause health signs in prone individuals. As soon as the mold is gotten rid of and eliminated from the home and the home is more treated and disinfected, symptoms commonly decrease. Water Damage Restoration and Repair – Water damage restoration companies pertain to homeowners’ rescue once water damages get out of control and require professional staffs to get rid of the water, dry-out the affected area, clean-up the debris and repair and bring back the structure to its pre-loss condition. However, many water damage restoration jobs could be avoided, or at least lessened, if residents understood to determine the warning signs leading to water damages. 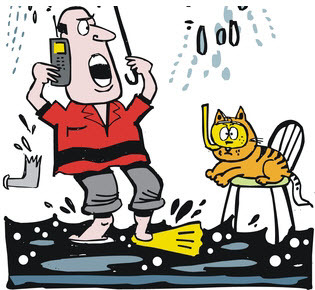 To schedule water damage inspection appointment, call 888-651-2532 or click here.